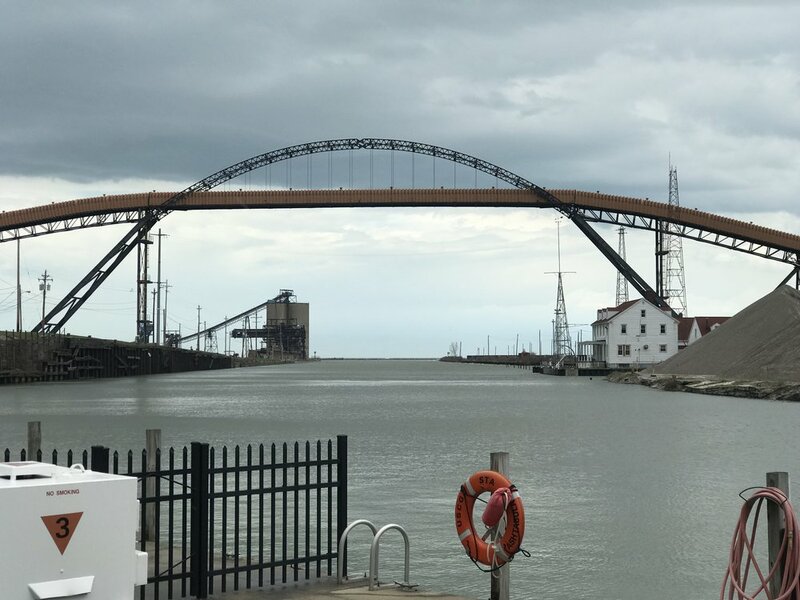 Ashtabula, Ohio: What was once a thriving port serving the steel mills of Pittsburgh and Youngstown is now quiet. 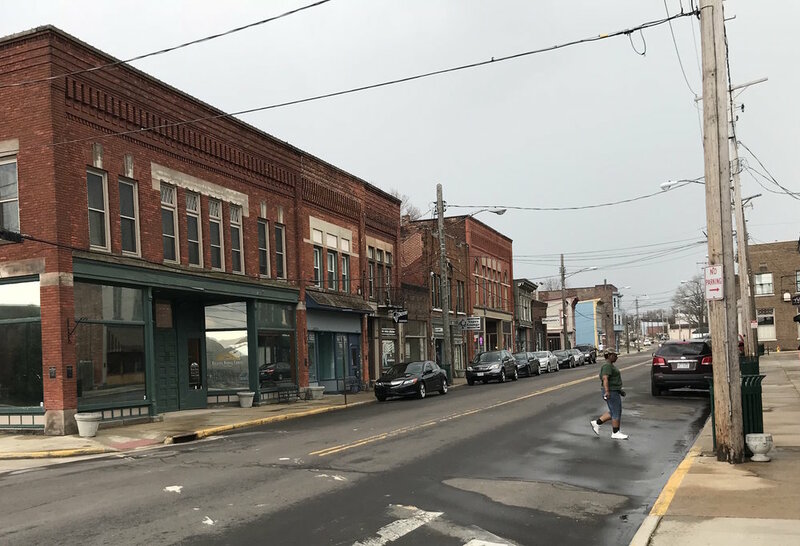 Ashtabula, Ohio: A few business struggle to survive the economic woes that have plagued northeast Ohio for years. 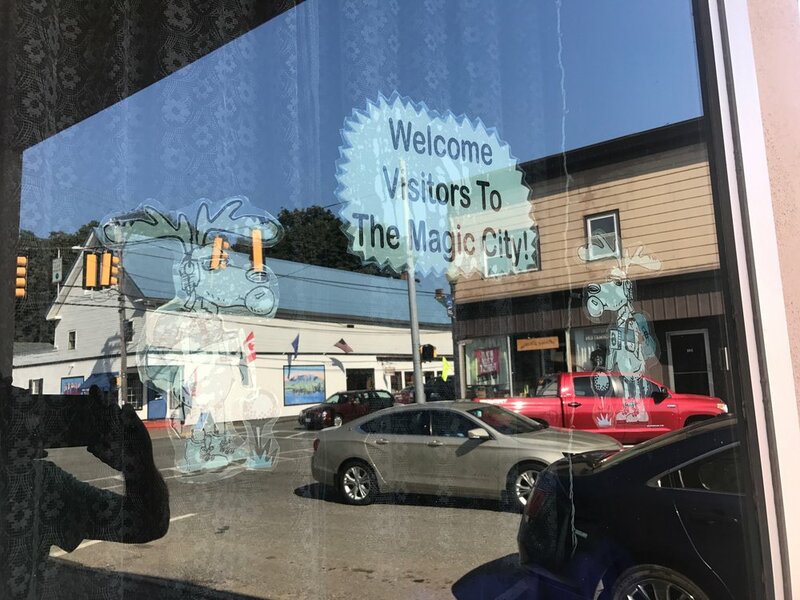 Millinocket, Maine: Dubbed "The Magic City" when it grew almost overnight around a paper mill in 1900, Millinocket lost most of its magic when Great Northern Paper shut down its mills. About all that's left of Great Northern Paper Co. in Millinocket is its former headquarters. A trailer park on the outskirts of Vicksburg, Mississippi. Murals painted on the levee separating downtown Vicksburg from the Mississippi River celebrate its history, which is about all Vicksburg has left to celebrate. Ashtabula, Ohio -- Ashtabula Harbor was a busy place back in the day. Ships from across the Midwest and Canada unloaded day and night at this port on Lake Erie. A steady flow of coal and iron ore climbed over the Ashtabula river on a long conveyor belt, moving from ships to railroad cars. Trains steamed south, taking the ore and coal to the steel mills of Pittsburgh and Youngstown. In my travels across America over the last year I’ve visited several places whose best days are behind them - boom towns gone bust, once-thriving communities withering away. They are, by and large, cities that rose and fell because of events they couldn’t control. Vicksburg, Miss., was wealthy back when cotton was king, slaves did the work and wealth traveled up and down the Mississippi River. Then it suffered a series of disasters: A 47-day siege and a bloody battle left it devastated in 1863. In 1876 the Mississippi changed course away from the town, making Vicksburg a backwater. Later, boll weevils wiped out cotton and a 1927 flood displaced thousands, many of them for good. The city never recovered. Today, Vicksburg is wealthy in nothing but history. Millinocket, Maine, was born in 1901, built to serve what was at that time the newest, largest pulp paper mill in the country. Millinocket was dubbed “The Magic City” for its prosperity and growth. Great Northern Paper owned the town, and discouraged investment by other companies that might compete for its workers. 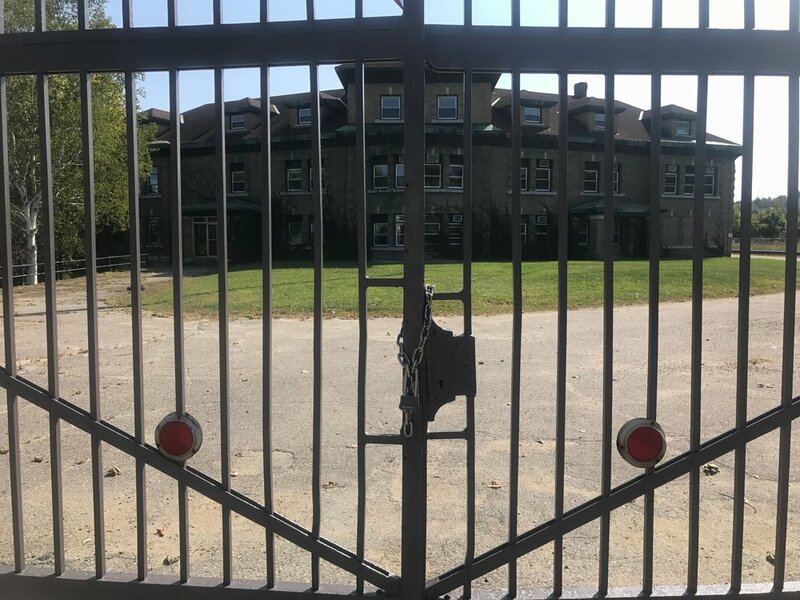 So there was nobody to pick up the slack when Great Northern, having been bought, sold and picked clean by Wall Street investors, went bankrupt and dismantled its Maine mills. All these communities have good people, some of whom are doing their level best to revive their local economies. But the odds are against them, mostly because of circumstances outside their control – a location too far off the beaten path, resources that have run out or aren’t needed any more, corporate decisions made in boardrooms far away.